Those of you who regularly read this blog will know that I don't really get into criticism of individuals. I try to focus any criticism towards an approach, offering an analysis of why I feel it is incorrect (or not optimum). Unfortunately it is almost impossible to criticise an approach without examining an individual's performance by way of example. In the case below I will examine such a performance, however this should not be taken as a personal criticism of the performer: she is doing very admirably within the boundaries of her chosen sport. Indeed, some of her performances (particularly with weapons such as the bo (staff)) demonstrate nothing short of jaw-dropping athleticism and dexterity, and for this I take my hat off to the performer. My good friend Narda alerted me to this blog post which I find very apposite. The gist of the article is that criticism has real value only if it explains why something is incorrect. The mere assertion that something is lacking is unhelpful (and pointless). 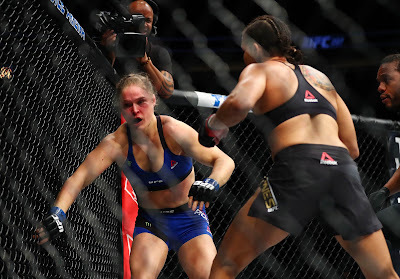 So what is it that I find objectionable about the "approach" of the performer's sport - and why? The sport to which I am referring sometimes goes by the name "Extreme Martial Arts". It features both newly designed and "traditional" forms (often karate kata), all of which are performed in a highly acrobatic and/or theatrical way. It seems particularly popular in the US where it has gained quite a following and even seems to enjoy some level of "legitimacy" in the eyes of the public. The latter strikes me as exceedingly odd, given that the award-winning "traditional" performances have very little to do with the traditional arts they purport to exemplify - both as systems of civilian defence and as traditional art forms. And sometimes, to my eye at least, they are manifestly comical. I watched this with my children aged 8 and 3 and both laughed out loud. And it is funny, no matter how indignant the practitioners of this sport may be at my observation. How is it funny? Even when the Valsalva maneuver isn't in evidence, the kiais are downright silly, often performed with a "yeeaoow" doppler-like effect. "Why are they silly?" I hear you ask. "That's not constructive criticism." True. In that case, let us examine the purposes of kiais in traditional karate, and see how they accord with the use here. This should shed some light on why I feel the kiais are "incorrect" from a functional perspective. This should also give you a clue as to why I find them funny. "Kiai" is Japanese for "spirited shout". In my view its primary purpose is to galvanise and focus your effort so as to maximise your applied force. 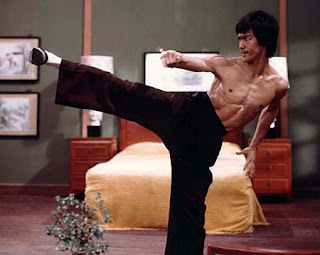 It is not unique to karate: most traditional eastern martial arts have some sort of battle cry. And you will find it as far afield as tennis where today's players "grunt" on occasional shots. Or, irritatingly, on every shot. The above observation about tennis raises an important issue: why is it irritating to watch tennis players like Maria Sharapova grunt on every single shot? Partly because we know, instinctively, that it is largely purposeless. It reeks of either bad habit, poor etiquette or insincerity. Shouts can only act to galvanise and focus your effort if they are used occasionally. If you shout on every single movement, no one movement is any different to another. The shout then loses its function of differentiating "special circumstances" where "extra effort" is needed. Which raises the question, if you shout on every movement, why shout at all? Indeed, shouting on every single movement can have negative consequences. If you groove your responses so that you rely on a shout for force in each case, you may become dependent on it. The shout can become a millstone; something you must have in order to do what others do without shouting. The above performance is guilty on this account. Kiais are so frequent and constant that they have become functionless. The performer not only kiais on every movement, but she kiais before she begins and in between movements as well. The adjacent image captures the performer in one of these "extra kiais". You will note that she is even looking off to one side. The next issue to examine is the nature of the kiai. In order to be effective in galvanising and focusing your effort, your kiais should match the type of movement you are employing. 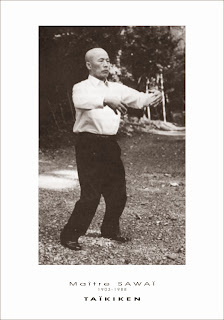 So for example, if you are doing a pushing movement or a deeply focused thrust, your kiai should be extended. If you are doing a short snapping movement your kiai should be short and sharp. There is no magic in this; it is simple logic. If your kiai is long and your movement is short (or vice versa), you might as well not have it. It's a bit like singing a song while a different one is playing on the radio. They don't match. Kururunfa is what many today categorise as "kaishugata" (literally "open hand kata"). 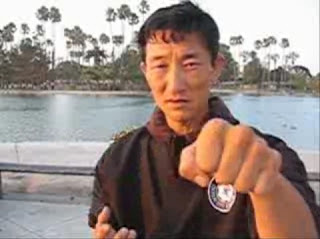 This expression is intended to imply combat-oriented, rather than conditioning, movements and techniques. 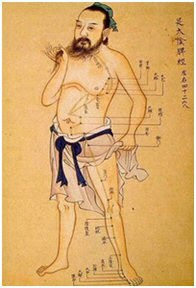 By contrast sanchin and tensho are sometimes referred to as "heishugata". This refers to katas designed primarily for conditioning. Both of those kata contain dynamic tension. This dynamic tension is not "realistic" in a combat sense, however it is essential for teaching you what, how and when to tense, and how to breathe while tensed. Kururunfa is not heishugata. Even if you decided to train kururunfa as heishugata, you wouldn't scream constantly. You certainly wouldn't close your eyes or look away while you are shouting. The type of conditioning taught in sanchin and tensho does not require such "aesthetics". Another (I believe lesser) purpose of the kiai is to intimidate or unsettle your opponent. Once again, to do this your kiais need to be used judiciously. If you shout all the time, your opponent will simply get used to it. Moreover, to unsettle your opponent your kiai has to be believable. Ostensibly the kiais effected by the performer here are meant to be impressive - scary even. However their "aesthetic role" (and their corresponding absence of any other function) is obvious to me. This is not just a case of histrionics (overacting). It is more like a bad pantomime. Fans of this type of sport might react with horror to the above statement. It is, after all, an award-winning performance on their standards. However I see their response as a conditioned one. Like the proverbial boiling frog, they have gotten used to this "overacting" through a process of gradual immersion and increase in intensity. Ask anyone outside the "industry" and it looks very odd indeed. By contrast, traditional karate is an austere art form and system of civilian defence. In this regard it is not unlike many of the other Okinawan and Japanese arts. 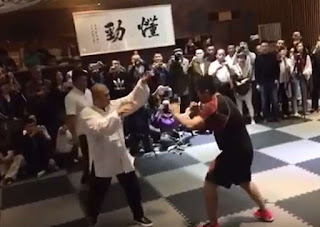 Karate is as unsuited to this kind of overacting as chado (the Japanese art of tea ceremony) in respect of its function as a traditional art form, or krav maga (the Israeli military system of hand to hand combat) in respect of its function as a system of pragmatic defence. Someone might well say: "What we do is not Okinawan or Japanese, so it doesn't have to follow any "rules". It is a modern/American activity." 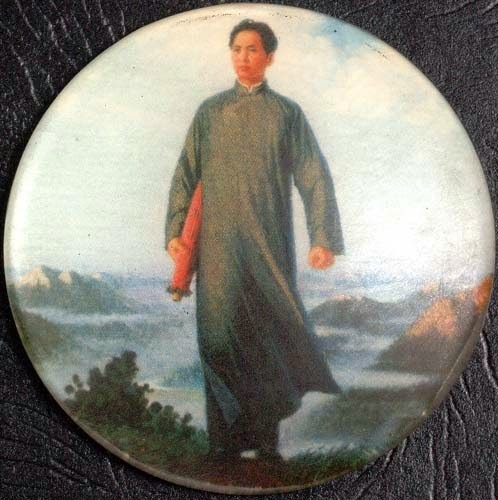 And yet the peformer is wearing a dogi (Japanese martial training clothes) and is otherwise impliedly doing traditional karate. If it is a "modern" or "American" activity, why use a traditional art like karate as the starting point? Why not simply label it as a non-specific martial dance? I suppose a partial answer is that dressing it up like karate gives the activity some sort of "history" and "precedent". It gives the sport a level of legitimacy in the eyes of the public where otherwise people might ask: "What is all this about? Why is that woman screaming and straining?" I have focused on kiais in this article, but this is by no means the only functional issue I have with "Extreme Martial Arts". Practically every movement is designed to satisfy an aesthetic value that is contrary to the basic principles of civilian defence. This ranges from the unecessary tension to errors in basic technique shape. In the case of the latter I will offer only one example (since the the potential examples are too numerous to detail exhaustively). "Does it matter to you?" I hear you ask. In many ways it doesn't; there is no pressure on me to adopt the sport criteria in my own training so I don't really care if someone else does. However there is a point where labelling this activity as "traditional" is misleading. 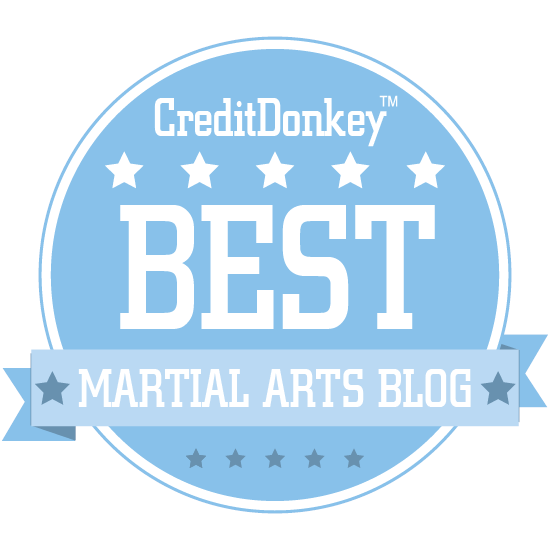 Judged as a non-specific martial dance, the particular performance is probably outstanding. Judged as karate, the performance is dismal. 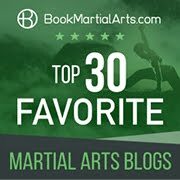 It is worth pointing this out to the uninitiated and in particular to those who are interested in starting martial arts training. Regardless, seeing this particular performance has given me a great chance to analyse "what not to do" (particularly in relation to kiais) in the context of the traditional art of karate. "The Valsalva manoeuvre is when you hold your nose and your mouth closed when you're trying to close. What happens is it creates a baromic pressure in your heart valves that, if it's weakened in any way already, can cause immediate fainting and even fatality, so people die on the toilet. That's what happened to Elvis; it's how he died on the toilet. The King was on his throne, and he died from the Valsalva manoeuvre." Excellent article :) I was quite shocked seeing that video. I mean I've seen one or two XMA/extreme martial arts competition events on Eurosport before, but this is a little... ridiculous? If karate in Ireland ever becomes that, I think it may be the saddest day for any dojo here. Well said! When you said, "I was waiting for someone to yell 'The emperor has no clothes!'" I busted out laughing...good story...relates perfectly to the current condition of the sports-dominated western martial arts world. I was into all that half a decade ago. I got out; I realized it wasn't martial arts. It was styled gymnastics and hysterics. Show; no practicality. I got into martial arts because I wanted to be able to defend myself and gain discipline, not to scream (I hated that so much) and throw myself around like a drama queen having a seizure. Don't get me wrong: I like to flip and stuff, I just understand that Karate and "tricking" are two separate entities; two separate disciplines with separate uses. Great post as usual Dan. I admit I couldn't watch the whole of that vid through....I did find it amusing though! Haha, I tried watching it about 4 times, but I had to stop because I kept laughing out loud in a library. Great article Dan. I wonder how shocked some of the XMA practitioners would be to hear that kiai needn't even be an audible expression? Although shouting does indeed help synchronize focus, intent, power, and spirit, it is not a requirement for kiai expression. In arts such as kenjutsu, kiai is sometimes exerted without so much as a heavy breath, but completely through the perfection of intent with technique and spirit in a single moment that disrupts an opponent. The extended and excessive shouting, just as you mentioned, is very far away from this kind of skillful expression. As I watch this video I imagine the faces of the old Okinawans as they are affronted with this version of what their sensei gave them, and it's not a pleasant thought. As a sidenote, why does the belt this young lady wears appear to have 30-40 years of abuse on it? This is a pet peeve of mine, as practitioners do their best to prematurely put wear and tear on their belt (wabi) to appear more experienced than they are. And certain belt makers design their black belts to fray and wear easily. It's a really vivid example of one of the ways western impatience and lack of cultural understanding has negatively effected the arts. My black belt is now 20 years old but has only recently started showing signs of wear. Many karateka buy the Tokaido brand of belt which is guaranteed to deteriorate quickly. I bought a hard-wearing, long-lasting obi as I don't give a rats about that sort of thing. In its very essence, I believe it's the kata itself to be blamed for this shameless charade. Katas have been devised not to show but to hide things. It's an obscure 2D drawing of a 3D object that appears in time and space. 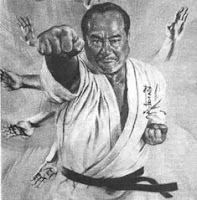 Understanding the real meaning of katas has been a common problem in karate practice ever since it was introduced openly to the public. Take it for granted and add some sport or even theatrical aspects to it, and you'll easily get what you see here. Thus, to avoid this, all you have to do is to practice kata in a way that makes clear it's a martial art you talking about and not dancing or whatever one may consider it is.